My family and I are currently on vacation visiting my husbands family in Florida. Before I left, many people encouraged me to rest. It has been a tough few months for our family both physically (sickness & medical bills) and spiritually (overwhelmed & questioning). We definitely needed some time to connect again as a family and a period of rest. My initial thought to the encouragement I received to rest was, How do I get rest with a toddler and a 5 month old little boy? There is nothing restful about being a mom because you can’t take vacation from that job. I failed to realize that this type of rest is not really what I needed. I needed to recognize the rest found in Christ. Hebrews 3 and 4 speak of a Sabbath Rest that is available to God’s people. In chapter 3 vs. 19-4 vs. 1 it says, “So we see that they (generation of Israel that died in the Wilderness Wondering) were unable to enter because of unbelief. Therefore, while the promise of entering his rest still stands, let us fear lest any of you should seem to have failed to reach it.” The writer of Hebrews continues by drawing a parallel to God finishing his work of creation and then resting on the 7th day to our Sabbath rest. Vs. 6 of chapter 4 restates the conclusion of vs. 2-5 that the good news advances this point by suggesting that today, a Christian has the possibility of entering even now in a partial way into the end-time “rest” and blessing that the Exodus generation missed. God’s rest centered upon recognizing that this work in creation was now completed; Christians enter into his rest through recognizing that Christ’s work of redeeming them from sin has also been completed. The promise of entering now into this rest means ceasing from the spiritual strivings that reflect uncertainty about one’s final destiny. 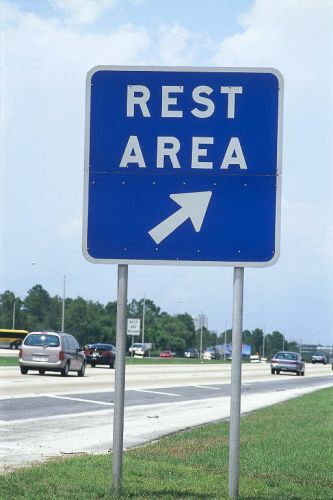 In light of this idea, we should “strive to enter that rest” (4:11). The writer of Hebrews is not emphasizing good works, but the emphasis is put on on Jesus’ sacrifice and anything believers can do to please God comes from his working in them. The opposite of perseverance is disobedience, the sin of the faithless Exodus generation. Oh how I am like that generation that struggles with unbelief! I continue to doubt that God loves me and feel that he is punishing me instead. When times get difficult, I question God’s love and sacrifice. My thoughts are filled with doubt of His plan being the best for me and that he will take care of me and my family. Love this Angie…just what I needed to read!!! Praying that your vacation time is enjoyable!!!! I love you!